SANTA ANA – Students, staff, and faculty members across the Santa Ana College (SAC) campus have been reading the college’s 2011-2012 Book of the Year, “Hotel on the Corner of Bitter and Sweet” by Jamie Ford. The historical novel is about the love and friendship of a Chinese American boy and a Japanese American girl during the wartime internment of Japanese Americans. • “Resilience and Fortitude in the Face of Injustice: World War II and Japanese Americans.” This art and artifact exhibit is on display in the Nealley Library until May 18. The hours are Monday through Thursday, 8 a.m. to 8 p.m.; Friday, 9 a.m. to 1 p.m.; closed on Saturday and Sunday. The exhibit features 2008 Day of Remembrance posters created by Karl Tani, graphic artist and SAC/Santiago Canyon College adjunct faculty. Poster prints of Hatsuko Mary Higuchi’s “Executive Order 9066” paintings are also on display. An artifact exhibit includes personal belongings that were taken to or handcrafted in the camps. Artifacts include luggage taken by the Motokane family to the camp and a display of handcrafted bird pins made by Fred Tani, the patriarch of the Tani family. – Sumiko Ida Fujimoto, retired teacher and mother of Norman Fujimoto, former SAC vice president of academic affairs; was relocated with her family to the Gila River camp in Arizona. – Dr. Donald Teruo Hata, emeritus professor of history at CSU Dominguez Hills, who was incarcerated along with his family at Gila River. – Hatsuko Mary Higuchi, retired elementary school teacher and artist, who was imprisoned along with her family at the Poston camp in Arizona. – Carol Tomiko Miura, retired SAC professor of art and artist, who was relocated with her family to the Tule Lake camp in Northern California and later moved to the camp at Topaz, Utah. • “Ordinary Lives Making a Difference: Japanese Americans and Justice.” Dr. Thomas Fujita-Rony, associate professor of Asian American studies at CSU Fullerton, is slated to speak on Thursday, April 19, from 2 to 3 p.m. in D-101. He will talk about civic responsibility and social justice as reflected in the lives of Aiko Herzig-Yoshinaga, the chief archivist for the Japanese American redress movement, and the late Fred Korematsu, a civil rights activist who resisted internment and took his case all the way to the Supreme Court. Free parking is available in student lots. 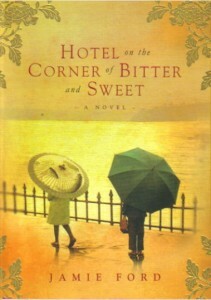 • A visit with Jamie Ford, author of “Hotel on the Corner of Bitter and Sweet.” Ford will speak at SAC on Thursday, May 3, from 11 a.m. to 12:30 p.m. in Phillips Hall. 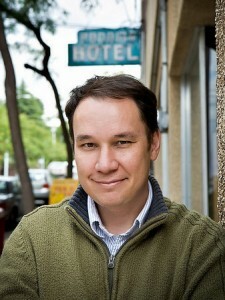 His debut novel was first published in January 2009 and was met with much critical acclaim. Since then it has been translated into 23 languages and has won numerous awards. It has also been optioned for a major motion picture. Free parking is available in student lots. For more information about the Book of the Year events, contact Yolanda Garcia at (714) 564-6717 or visit www.sac.edu/bookoftheyear.